The Academy Awards – Did You See That One? The Academy Award of Merit, better known as the Oscar. In 1927 the International Academy of Motion Picture Arts and Sciences was established. Led by Douglas Fairbanks, the Academy established a series of Awards of Merit designed to honor the achievements of the industry. The first ceremony was held in the Roosevelt Hotel’s Blossom Room on May 16, 1929. Twelve awards were given out that night. Since then, the Academy has established itself as the pinnacle of achievement for anyone in the film industry. 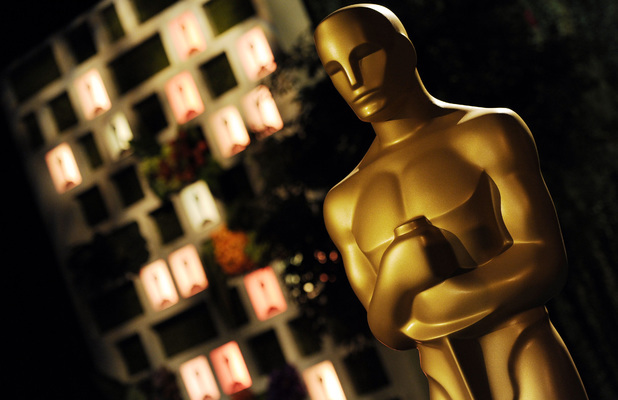 As of 2013, the Academy has handed out 2,809 statuettes to members of the film community. Click on the categories to see the winning films. Pingback: Blue Jasmine | Did You See That One? Pingback: Patch Adams | Did You See That One? Pingback: Cinema Paradiso | Did You See That One? Pingback: Star Trek Into Darkness | Did You See That One? Pingback: Split | Did You See That One? Pingback: Abacus: Small Enough to Jail | Did You See That One? Pingback: The Big Sick | Did You See That One? Pingback: Traffic Stop – Did You See That One? Pingback: Knife Skills – Did You See That One? Pingback: Strong Island – Did You See That One? Pingback: Icarus – Did You See That One? Pingback: Heroin(e) – Did You See That One? Pingback: A Bridge Too Far – Did You See That One? Pingback: Chinatown – Did You See That One? Pingback: Grand Canyon (1991) – Did You See That One? Pingback: The Bachelor and the Bobby-Soxer – Did You See That One?